THE KINSMEN AQUATIC CENTRE WATERSLIDE HAS BEEN REPLACED AND UPGRADED! 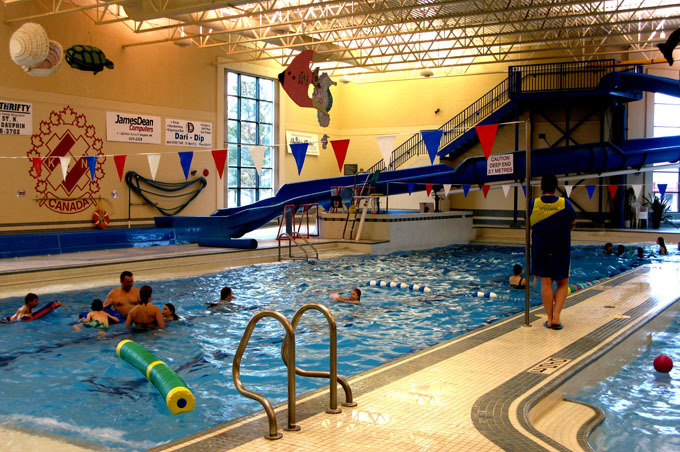 This facility houses Manitoba’s first indoor wave pool and is the perfect place to take the wee ones. It features a 150-foot waterslide, 10-person hot tub, water umbrella, birthday party room all surrounding a four lane, 25 meter main tank for competitive and recreational swimming and zero depth entry into a leisure area. Other amenities include an on-deck concession and viewing area. Click here to view the current Pool Schedule or call the Aquatic Centre for updated information on programming, maintenance and more!